Have these 4 words ever come out of your mouth? If you are human, they definitely have. Do you have trouble fighting acne? Here's your guide to getting great looking skin! As you know, there are about 7 MILLION skin care systems! You will definitely find one that works for you! Remember: everyone's skin is different, so Proactiv might work for your best friend, but it might not for you, or vice versa. I use the Clean and Clear Advantage Acne Control Kit, and it is pretty much AMAZING! Clean and Clear Advantage Acne Control Kit is available at your local CVS, Target, or drugstore for $20. 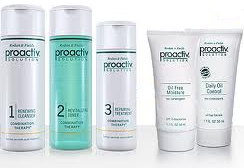 Proactiv is available at Proactiv.com for $30. 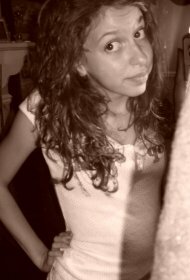 ♥ Try not to touch your face any more than possible. Your hands have a lot of germs and bacteria on them, and if you touch your face, guess where the germs go. Hello, acne! ♥ If you have a zit, don't mess with it. Picking, squeezing, etc., make the zit inflamed, irritated, and can leave a scar. ♥ Moisturize! Get a moisturizer that has an SPF of 15 or higher, and doesn't leave your skin oily. ♥ Once a week, give yourself an at-home facial. Use a scrub, then a mask. Scrubs get rid of dead skin cells, and make your skin smooth and soft. The mask will get deep down to lift away dirt and oil from your pores. Now you know how to get amazing skin, and once you do (and you will! ), you will love it! !